Newspaper advertising is still used as a primary means of attracting customers; however, creating the right strategy can be difficult. 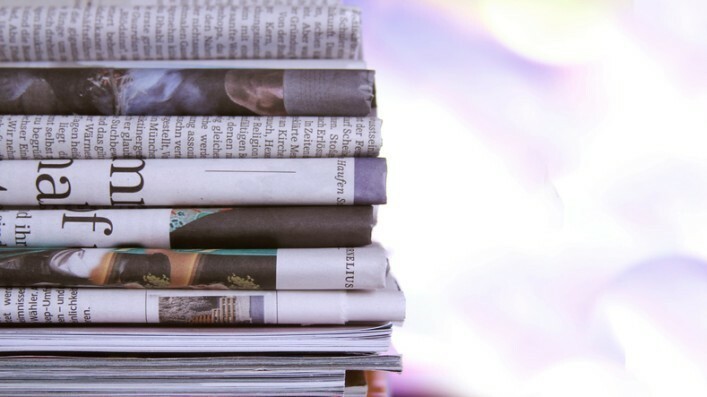 If you’ve already spent months on trial and error, you may need a few tips for newspaper advertising to bring you the success you’ve been looking for. Although no campaign is perfect off the bat, these tips can help you pinpoint your weaknesses and transform them into strengths. Here are some useful dos and don’ts you should know about before placing your ads in a newspaper. Depending on your budget and your desired prospect reach, you should choose your newspaper carefully. Regional and national newspapers tend to be more expensive, while local or community papers are more focused and affordable. Depending on your business’ reach, you may prefer to stick to your local prospect or choose to reach a national or global market. Each newspaper has sections and not everybody browses through the entire paper. If your ads aren’t in the right locations, they might as well not be there at all. Find out which ad size, specification, and place your ad should be to get the most looks. Certain people read the paper for different reasons. Think about the group you’re trying to reach. What age are they? What days of the week do they read the paper? Which demographic is the most likely to be interested and find value in your product or service? Considering your market before creating and publishing your ad is one of the first things you should do. It’s easy to become overly logical when you are trying to convince your reader that your product will meet their wants and needs. Don’t let this be reflected in your content! People often buy products based on how they feel about it, not based on numbers. Once they’ve already emotionally decided, they will use logic to justify their decision. Use this to your advantage by always hooking your prospects by their emotions, then use your research and sense to turn them into customers. Before designing your marketing piece, think about what appeals to you when you receive mail. Don’t use too many colors or graphics that confuse the reader, and don’t use low quality images that make your ad look cheap. Select high-quality graphics to present yourself as a professional, and to create interest in your reader through its bright colors, design, and beauty. Your ad should be simple and easy to read. Avoid technical language that can be disconnecting and confusing and choose shorter sentences that get straight to the point. Simple language also allows everyone across your target audience, young or old, to understand your message clearly. A sure way to establish yourself as an unreliable brand is to copy content and images from another brand’s mail pieces. Aside from this being illegal, you should take advantage of the opportunity to create your own personalized image and content. The cleaner and more concise your ad is, the better. Tidy ads look great when they are planned, while busy ads can be overwhelming and distracting for readers. Finding a good balance between good visuals, quality content, and a clear message is key to staying on point and increases the chances that your readers will respond. Although you may think that more information means a better likelihood of turning a reader into a customer, too much information can be a turn off for readers. You’re only writing a short ad, so don’t make it too overwhelming. Readers who are treated to ads with long text or too much technical information will probably skim the first few lines before giving up and moving on. Choose your words carefully and make sure your message is clear, simple, and to the point. Don’t: Simply Sell—Provide a Solution! Once you find your target audience, don’t bombard them with sales pitches and promises. Your audience cares less about your product than they do about how it can meet their needs or wants. For example, if you are selling glasses frames, don’t simply sell them. Consider who your prospects are, and whether they want to look refined and professional, or stylish and youthful. Meet their needs and wants and your customer base will grow! Now that you understand the dos and don’ts of newspaper advertising, it’s time to begin creating a campaign of your own. There are many advantages to print media advertising than you may think. Huge brands still use print media as their primary means of marketing, even to connect prospects to their online store or web site. With the right guidance and support, you can create an effectivne campaign that engages your audience and encourages them to make a purchase. Building a newspaper campaign needs to be done the right way so working with a professional marketing agency will allow you to benefit from the advantages that come along with the medium. If you want to experience the advantages of a successful newspaper and print media strategy, contact Macromark. We can help you understand the pros and cons of print media vs. electronic media and this opportunity to grow your customer base. We can provide all the information, advice, and assistance you need to get your newspaper marketing campaign up and running. Our services also include print media, direct mail marketing, list brokerage, data solutions, list fulfillment, and list management. For more information about how we can help grow your business, contact us at 1-(845)-230-6300.